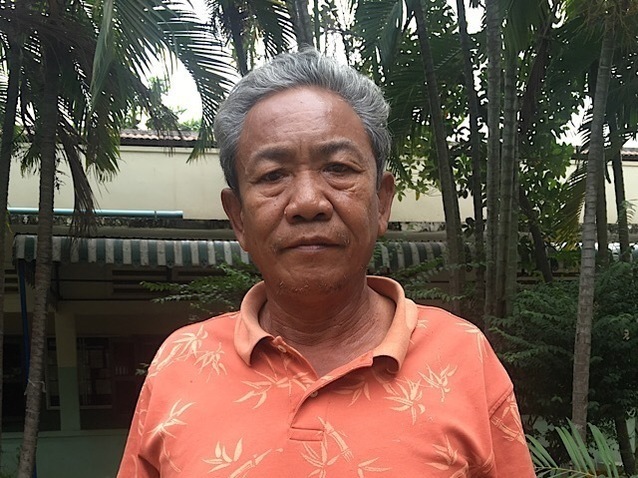 Noktheu from Cambodia raised $1,025 to fund a hip replacement. Noktheu's treatment was fully funded on July 19, 2018. Noktheu did not receive treatment as expected. Noktheu decided to wait to have surgery at a later date. At this point, he will be re-eligible for Watsi funding. Noktheu is a fish vendor from Cambodia. He is married. He likes to help his wife with house work. Three years ago, he developed arthritis of his left hip. He cannot walk easily and is in pain. Fortunately, Noktheu learned about our medical partner, Children’s Surgical Centre. At CSC, surgeons can perform a total hip replacement to relieve Noktheu of his pain and allow him to walk easily. Treatment is scheduled for July 18, and Noktheu needs help raising $1,025 to pay for this procedure. Noktheu was scheduled to receive treatment at Kien Khleang National Rehabilitation Centre. Medical partners often provide care to patients accepted by Watsi before those patients are fully funded, operating under the guarantee that the cost of care will be paid for by donors. Noktheu is no longer raising funds. Noktheu's treatment did not happen. Read the update.